The sky was still dark as the moon lay unhidden, high up in the air. “Adventurer, if you do not have any problems, then walk to the center of the magic circle. There will be a slight pain after the ceremony starts, so just endure it, and it will be over,” Sharlyn pointed towards the center of the altar made of black stone. Her eyes carried a hint of excitement as she could finally start this experiment. Shi Feng was completely unaware of Sharlyn’s thoughts. He nodded his head as he walked into the magic circle. No matter how he put it, Sharlyn was a major character who possessed a Tier 3 Job, so there shouldn’t be any complications. As for the pain he would have to suffer, he thought nothing of it. During battles inside G.o.d’s Domain, a player could similarly feel pain when attacked by monsters. However, a majority of the players still chose to accept this kind of setting. Their goal was to increase the sense of realism, so they did not adjust the pain transmission to 0%. More importantly, they wanted to increase their skills in battle. There was an old saying of ‘spare the rod and spoil the child.’ Only with pain would one be able to remember the lesson, and only by learning the lesson, would one be able to further improve. Hence, if one wanted to grow in G.o.d’s Domain, learning to accept such pain was a definite must. However, considering each player’s tolerances, G.o.d’s Domain set the pain transmission at 20% by default. However, some experts would adjust the transmission to 60%, allowing them to be more alert. Meanwhile, Shi Feng himself had adjusted it to 50%. This was the degree of pain he was accustomed to, and it was the amount at which he could best exhibit his strength. After standing in position, Shi Feng sent a nod towards Sharlyn, indicating that she could start the ceremony. Descent of the Moon G.o.ddess! Sharlyn started her prayer; divine incantations left her mouth as her fingers traced out divine texts. Line after line of divine texts floated in midair and towards the horizon. Compared to the Tier 3 magic from before, the divine texts written in this ceremony were extremely numerous. Even after writing hundreds of lines, Sharlyn showed no signs of stopping. Sweat had already started dripping down Sharlyn’s face, clearly indicating that she was somewhat exhausted. Meanwhile, the magic circle on the ground started to radiate a dazzling silver glow, the magic circle itself gradually rising into the air. After over ten minutes had pa.s.sed, a streak of shining moonlight shot towards Shi Feng’s body. Suddenly, dark smoke emerged from Shi Feng’s body. The dark smoke was extremely reluctant to part from Shi Feng’s body as it rose into the air. Meanwhile, sweat started appearing on Shi Feng’s forehead. His face turned pale white as he endured an intense pain. Shi Feng nearly cursed at Sharlyn. This was definitely not at the level of just ‘a slight pain,’ but it was very, very painful. It was as if his limbs were being torn from his body. If he had not already played G.o.d’s Domain for ten years, having long since become accustomed to pain, he might be wailing like a ghost and howling like a wolf right now. After persistently being lit by the moonlight for several minutes, the black smoke finally departed from Shi Feng’s body. However, it did not just simply fade away. Instead, it formed into a dark shadow that was a carbon copy of Shi Feng. “Adventurer, you need to kill this demon’s doppelganger in order to dispel the curse. I have to conduct the ceremony, so I cannot lend you any aid. It is all up to you now,” Sharlyn reminded. Somewhat exhausted, Shi Feng used Observing Eyes on this dark shadow. 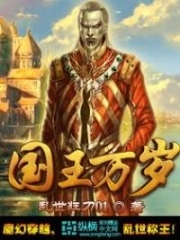 “An Elite?” Shi Feng’s complexion turned serious. The demon’s doppelganger did not have a lot of HP, and its level was similar to his. If this doppelganger did not possess any powerful skills, then dealing with it would not be a huge problem. However, that probability was slim. “Wretched Moon Drip! Despicable human! Did you think that by using the complete Moon Drip to weaken my strength, you would be able to defeat me? I’ll let you know the reason why lowly humans like you will never win against us powerful demons!” The demon’s doppelganger had an enraged expression as it pulled out a black longsword, slashing it at Shi Feng. In the blink of an eye, the doppelganger arrived before Shi Feng. A faint black ray followed as it waved its longsword. Within an instant, that single black ray turned into four streaks, all of them threatening to dice Shi Feng into blocks of meat. Shi Feng was greatly shocked when seeing such an action. This speed far exceeded that of a normal Elite. Immediately, Shi Feng used Parry. Shi Feng retreated several steps before he stabilized his body. If not for the complete Moon Drip, this demon’s doppelganger might not have been just an Elite, but a Special Elite. “Die!” Despite having the upper hand, the demon’s doppelganger did not give Shi Feng any chances. 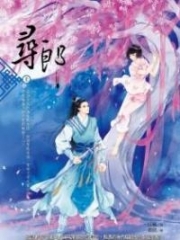 It used Shi Feng’s Chop; its sword pierced towards Shi Feng’s heart. Shi Feng immediately activated Windwalk, his body abruptly dodging to a side as he distanced himself from the demon’s doppelganger. After missing its attack, the doppelganger turned its head, using Windwalk as well to chase after Shi Feng. Regarding Strength, speed, and HP, the demon’s doppelganger held most of the advantage. Moreover, the doppelganger also possessed the same Skills as Shi Feng. It was an extremely unfavorable situation for Shi Feng. “Then, do you know this move?” Shi Feng revealed a faint smile. Nine sword phantoms appeared beside him, and with a crashing sound, all nine of them shot towards the demon’s doppelganger. Although the doppelganger could block a majority of the attacks, a few phantoms of the Abyssal Blade still managed to pierce its body. Every attack from the phantoms dealt over -30 damage to the doppelganger. “Despicable human, you are just relying on your weapon’s strength. I’ll let you know that all your efforts will be in vain,” saying so, the doppelganger rushed to Shi Feng’s front and used Thundering Flash. 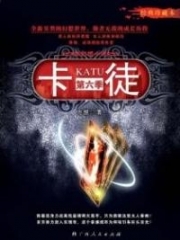 The moment the sword lights came, Shi Feng calmly smiled as he took out two scrolls from his bag; one of them was a Speed Scroll, while the other was a Polymorph Scroll. Within an instant, Shi Feng’s speed abruptly increased, dodging to a side and avoiding the strikes from Thundering Flash. At the same time, he turned the demon’s doppelganger into a sheep. After turning it into a sheep, Shi Feng immediately slashed at it with his sword. Unable to dodge, the demon’s doppelganger received all three sword lights. As a result, Shi Feng’s Level 5 Thundering Strike caused three terrifying damages of -112, -135, -163. The demon’s doppelganger was greatly enraged as it activated Defensive Blade. With its attack range greatly increased, it immediately slashed its sword down at Shi Feng. This human was just too despicable. He actually used an unsightly method such as turning it into a sheep. “Hehe, and here I wondered how strong a demon would be. You clearly have a body that’s stronger than mine, yet, you are still using the same skills as I do. I guess your standards are just at this level, “ Shi Feng mocked as he dodged the incoming attack. “You are courting death!” A single sentence from Shi Feng nearly caused the demon’s doppelganger to faint from anger. It sent a Double Chop at Shi Feng’s neck. Shi Feng pointed the Abyssal Blade at the demon’s doppelganger, and within an instant, nine pitch-black chains appeared and bound it, restricting it for three seconds. Simultaneously, both the original and doppelganger activated Defensive Blade, and both started an onslaught on the demon’s doppelganger. Thundering Flash, Chop, Earth Splitter, Double Chop, and many more skills struck the demon’s doppelganger. In addition to the continuous attacks from the Nine Dragons Slash, the demon’s doppelganger’s HP madly decreased, dropping down to 10% within a moment. “So what if you have a strong physique? So what if you know all of my Skills? So what if you are a demon? 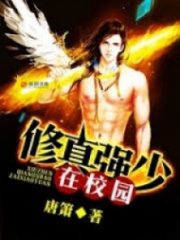 !” Shi Feng demanded he pierced the chest of the demon’s doppelganger. Meanwhile, the demon’s doppelganger could only grit its teeth, grimacing in pain; its fury burned within it. The moment the bindings restricting it were released, it would be able to properly deal with Shi Feng. Just as it was about to bring out its special ability, however, the demon’s doppelganger saw the scroll within Shi Feng’s hand. Suddenly, the demon’s doppelganger thoroughly despaired. “Bye-bye!” Shi Feng waved his hand at the demon’s doppelganger. He knew that the demon’s doppelganger was about to show its hand, so he had activated the Tier 1 Magic Scroll within his hand. This Tier 1 Magic Scroll was capable of dealing -500 damage to a single enemy that was below Level 20. It was more than enough to deal with the demon’s doppelganger that currently had less than 200 HP. Suddenly, a green thunder struck down from the sky above. It caused -500 damage to the demon’s doppelganger, instantly transforming it into dark smoke and it vanished. It also left behind a piece of dark gray-colored equipment. System: Quest “Moon Drip” completed. Rewarding 10,000 EXP, and “Demon Hunter” t.i.tle. Reputation in Star-Moon Kingdom +5, Reputation in White River City +20, Reputation in Red Leaf Town +100. System: Reputation in Red Leaf Town has reached 50 points. Upgrading to Red Leaf Town First-Cla.s.s Citizen. System: Reputation in Red Leaf Town has reached 100 points. Upgrading to Red Leaf Town Third-Cla.s.s n.o.ble. 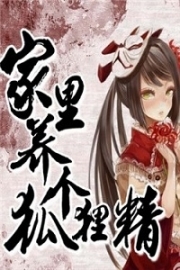 You're Read Reincarnation Of The Strongest Sword God Chapter 72 - Demon Hunter online at NovelOnlineFull.com. You can use the follow function to bookmark your favorite novel ( Only for registered users ). If you find any errors ( can't read,broken links, can't load photos, etc.. ), Please let us know so we can fix it as soon as possible. And when you start a conversation or debate about a certain topic with other people, please do not offend them just because you don't like their opinions. You're reading Reincarnation Of The Strongest Sword God. This manga has been translated by Updating. Author(s): Lucky Cat. Already has 7535 views. Current Time is 25-Apr-2019 03:53:16 AM.